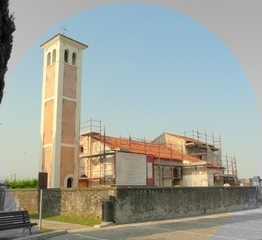 Evolution of the church: in black and dashed the oldest in Fig A church in the middle of the fifteenth century, when the building was renovated and expanded incorporating the wall of an ancient tower which is sufficient to derive a wind bell. 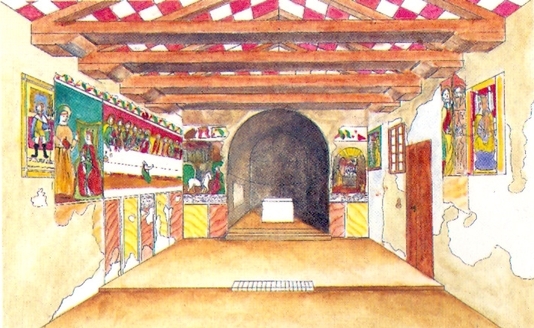 Fig B The church in the early decades of the sixteenth century, was built with the small vestry on the door. 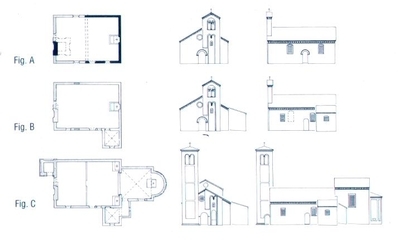 Fig C church in the second half of seventeenth century or in the early years of the following one, was made the current bell tower, and broke down the east wall, with loss of the two central chapters of the history of San Giorgio. 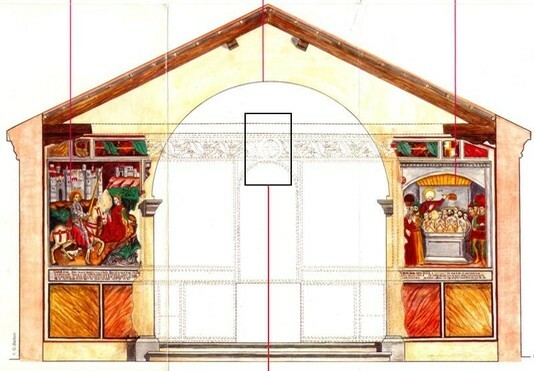 The pictures: "evolution of the church", "internal overview of the church" and the inside walls pictures come from "Supplemento della rivista VENETO ieri, oggi, domani." © Gastone Barbon -January 1994. It's possible to see in the original format from Mrs. Ongaro(church's keeper).